Kwan Jang Nim Sam Albright is the President of the All Korean Martial Arts Association. 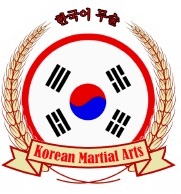 Welcome to the "All Korean Martial Arts Association. Please visit anytime. We are a non-political unified Korean martial arts organization. We started back in 2000 with our brother organization the WHDA and recently branched off into a separate Korean martial arts specific organization. We offer superior benefits without the outrageous cost of other organizations that you find. We are currently offering memberships for students, instructors and schools. We do not make promises that we do not keep. We will not tell you everyone will accept your rank as we do not accept theirs. Many members of some of the top martial arts organizations around the world in the Korean martial arts will not take each others ranks for transfer. We on the other hand will accept any legitimate rank transfer or recognition request. We will soon offer some of the best Korean home/distant study martial arts programs in the world. The reference material we use for testing is for testing purposes only. You do not receive a black belt under the instructors in the sets, only through All Korean Martial Arts Association. We use this material the same as any school uses reference material with full license to distribute the material. We are committed to your goals in the martial arts. We are always available by Phone, email, web cam, mail, fax, etc. 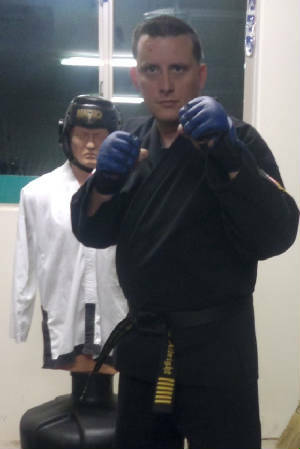 If you are looking to pick up where you had to stop in a specific Korean martial art or wanted to finish your black belt or higher or just a school owner looking to expand his classes with a new program along with a teaching certificate we are here for you. Please take the time to look over our site and our distant learning courses if you are in the market. We are a division member part of the World Hombu Dojo Association. We are separate and autonomous with our own council members. We hope you decide to become a part of this growing organization of students, instructors and school owners. Attention all Jujitsu/Jujitsu/Jiu-jitsu/Yudo schools and training centers or those wishing more competitions for testing your skills. We are composing a list of potential schools and state directors and representatives to become part of a major Tournament organization for sport Jujitsu/Jiu-jitsu. The rules will be emailed to any school owner or operator looking to become part of this nationally known and recognized body. There will be full contact Gi tournaments which will include Old style sport full contact fighting to include strikes, kicks, throws, takedowns and grappling. As well there will be Grappling Gi and No Gi divisions within the same tournament. Standard rules will apply. This tournament body does not care what style of Jujitsu/Jiu-jitsu you study, practice or participate in. This is a non political body. Insurance for your school, students and practices is available. Children and adults will be able to compete. We will allow all styles to compete. All of the rules and commands will be in English. We will open the full contact and grappling to any style TKD, TSD, Hapkido, Karate, Kempo, Kung Fu, whatever. Please fill in the information form below and a rep will contact you with more information. The Staff at the All Korean Martial Arts Association. Testing is done at the individual's pace. This means take as long as you or your partner needs independently to test.